East Rand Stereo 93.9 FM Live Online . It is also Known as OOS Rand Stereo . East Rand Stereo is a community radio station based in Springs, Ekurhuleni Gauteng province, South Africa. It broadcasts on 93.9 FM in the East Rand or Ekurhuleni area. 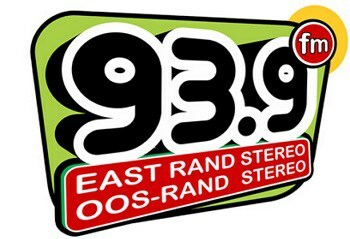 When community radio was born in South Africa in the early nineties, OOS Rand Stereo became one of the first to go on air in 1995. Broadcasts area currently covered include Springs, Brakpan, Benoni, Parts of Boksburg, Parts of Kepmton Park, Parts of Germiston and Parts of Alberton. Address : 13 Louis Botha Sq, Casseldale Springs, Gauteng . Phone : +27 83 910 0939 .